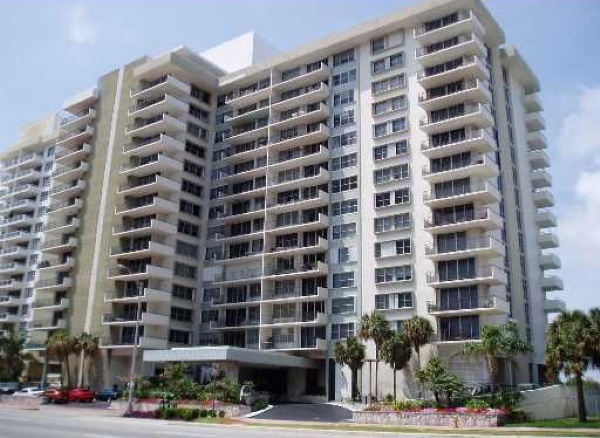 The classic sixteen story Royal Embassy condo is found to the west of Collins Avenue, a major roadway that runs north and south across the entire barrier island. The location of the buildings allows residents great views of the waterfront as well as the island neighborhoods like colorful Allison Island and La Gorce and its sprawling golf course. Similar to other buildings on Collins Avenue, Royal Embassy residents are also just a couple of steps from the beach to the east of the building. When temperatures rise, Royal Embassy residents can use the building's swimming pool to stay cool. The building also has a library and you'll enjoy the convenience of having Wi-Fi available. Also look for boat docks plus standards like 24 hour security and covered parking. Residents of Royal Embassy get access to basic cable and also enjoy features like walk-in closets, balconies and marble bathroom floors. The aforementioned La Gorce Golf Course is across the water to the west of Royal Embassy. For other “nature minded” activities, there are several small parks to the north and south. Also to the south is Lincoln Road, a very popular thoroughfare that's always full of locals and tourists exploring the shops, the restaurants or admiring the people themselves. If you continue even further south you'll eventually reach the South Beach area. Bal Harbour and Sunny Isles Beach are north of Royal Embassy.